Smith’s Bell and Clock are a full scale Tower Clock Manufacturer. We can provide Tower Clock Restoration, Tower Clock Repair, Tower Clock Parts, and Tower Clock Provisioning. 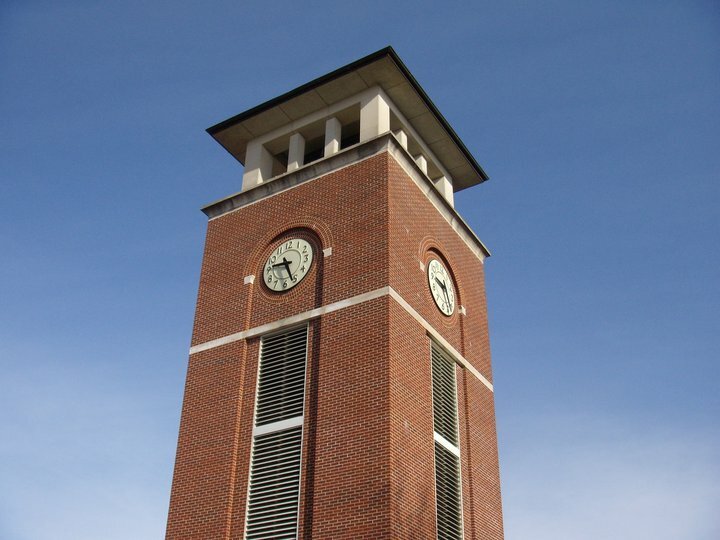 From making antique Tower Clock parts to custom designing a new Tower Clock for your University, Campus, or business. If you have a design you are wanting to implement on the clock, we can provide artistic renderings and drawings for your Tower Clock and show you how it would look at your place of business. There are many questions that arise when purchasing a Tower Clock, and we will walk you through every step of the way to ensure your comfortability and satisfaction. See our “7 things to avoid when purchasing a Tower Clock”. Smith’s Bell has provided their Tower Clocks for customers not only in the United States, but have accomplished projects as far as Eastern Asia. Rest assured, when purchasing a Tower Clock from Smith’s you get only the best components, at the best price, with the best customer service. Call us to see a location of a Tower Clock installation by Smith’s near you! We have many designs and types of mountings for Tower Clocks including: Skeleton Dials, Cannister Clocks with LED backlit lighting, Surface Mount, and Open Mount Dials. Through our state of the art Master Clock, we have the ability to correct the Clocks after power outtages, and all clocks come standard with Automatic Daylight Savings Time and 10 year back up battery. Our Tower Clock Movements are of robust design and have proven themselves by performing in the field for several decades. Call and inquire about your project today to see how we can help you create a custom timepiece for life. Start a new era of history with a quality American made timepiece by Smith’s! If you are in need of a tower clock manufacturer then call an experienced and knowledgeable company like Smith’s Bell & Clock Service. Call us today at 317-847-4092.